We have partnered with a Willamette Valley Bank, a local financing expert that are ready to guide you through the home financing process. is thorough lender can help you get a fast and complete pre-qualification before you start looking for a new home. They have a proven track record and continually go the extra mile for their clients to ensure your loan application and underwriting process is as seamless as possible. We know what is takes to find you the right home, our lender partners put in the work it takes to find the right loan program with competitive rates and low down payments that work for you. If you have questions about what you will need to get pre-qualified, contact us today! Please do not submit any confidential information. 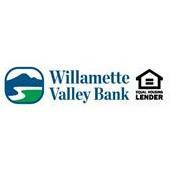 This will be shared with both Willamette Valley Bank and Groves Realty Group | Keller Williams Realty Coeur d'Alene.